Knitting baby shawls is a time consuming but very satisfying process. 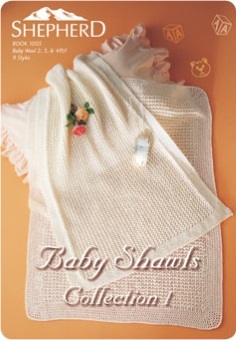 Generally knitted baby shawls are made in fine or very fine yarn (2, 3 or 4 ply) and believe me, there is a lot of knitting involved! I have quite a few vintage knitting patterns in my collection (from the 30's, 40'2 and 50's)and most of the shawl patterns are absolutely beautiful but they tend to be in 2 or 3 ply rather than 4 ply. 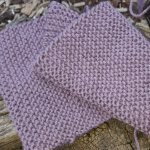 If you want to make a family heirloom - a shawl to be passed on down through your family - a vintage pattern is a very good option. But where to get the pattern? Some of the pattern published by larger manufacturers (like Patons here in Australia for example) are updating and republishing their most requested patterns. 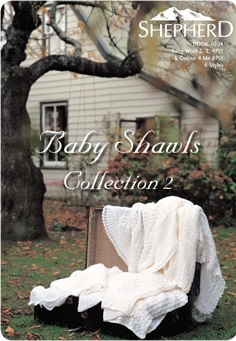 So check out the latest baby pattern books from you favourite publisher before you try eBay. Most of the revised patterns I have seen have been revised to use 4 ply rather than 2 or 3 ply which is a bonus as 2 and 3 ply is getting increasing difficult to find these days! Failing that as I said about you could try eBay. Many of the vintage pattern books I have in my collection have been bought in an online auction. Some of you may be aware that I used to have a knitting store attached to this site. Unfortunately, I had to close the store n 2010 due to family issues and have not been able to find the heart to re-open it, but I do still have some stock on hand. These pattern books are brand new ex-store stock and are available for purchase here on this site. Postage is free to purchasers with a delivery address in Australia, but if you want it send anywhere else I will have to charge for the postage. Please do contact me to have a chat about the costs if need-be. Which Type of Yarn Should You Use? Knitting baby shawls takes a lot of time and effort, so personally if I am going to make a beautiful lacy baby shawl I am going to want to make it out of 100% pure new wool. But these days my thinking is probably out of touch with most modern mothers. In my day (don't I sound really old about now), young mothers had the time to hand wash wool garments and baby shawls whereas these days working mothers are more the norm and time is precious. 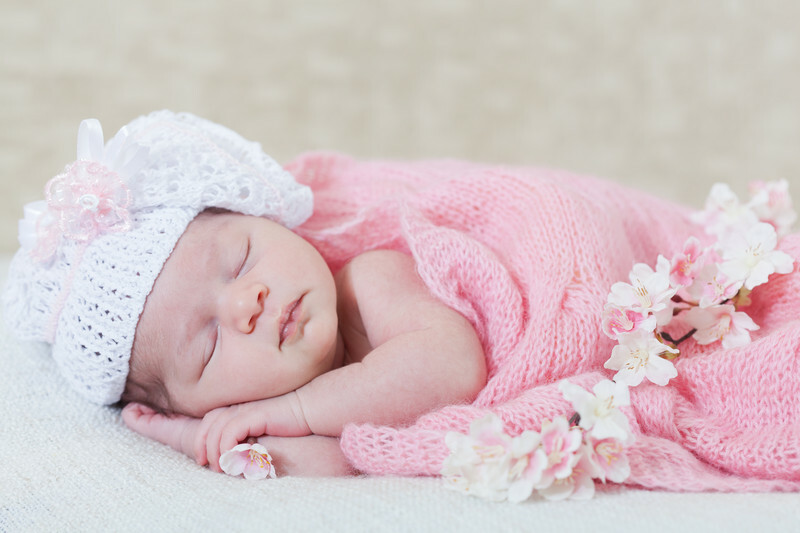 I know in their place, the more time I could spend with my baby rather than doing 'chores' the better so often acrylics or nylon yarns are a better choice for your baby shawl. Not only can an acrylic shawl can be washed in the washing machine (as can most 100% pure new wools these days) but they can also be thrown in the clothes dryer as well!